Hey, I'm writing about another live album! This time it's the brilliant pop act Nada Surf, a band that can basically do no wrong in my book. 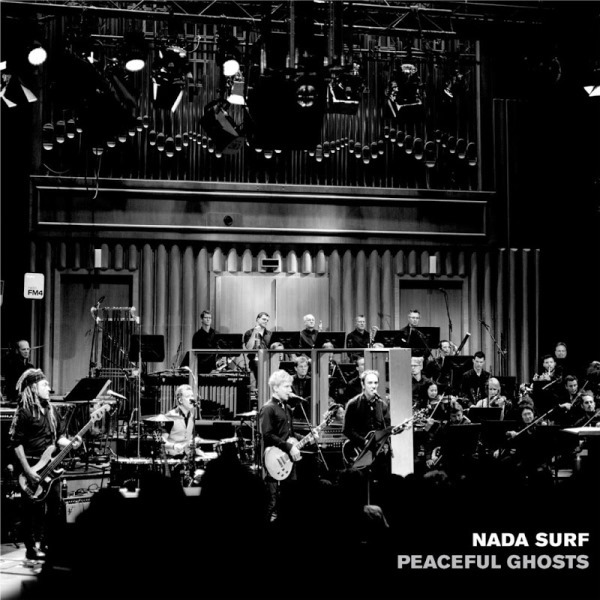 This past summer they played some gigs in Austria and Germany with local orchestras, and "Peaceful Ghosts" is the recorded output of (I assume) those gigs with the best takes cobbled together. As with any release of this nature (assuming you're already a fan because a live album seems like a weird place to start listening to a new act), only one thing really matters - how does the recording sound? The answer: brilliant, mesmerizing, moving. In fact the recordings are so clean that other than the polite applause at the end of each track, you might think these are just alternate studio takes with an orchestra added. And the orchestra WORKS...I mean really works. They should look into actually recording some songs like this in the studio on their next album. Like most official live recordings, "Peaceful Ghosts" almost works as a "best of" also: this is packed with classic songs like "Blizzard of '77,"Blonde on Blonde," "Rushing," "Inside of Love," and so many more. Of course not every song I wanted is on here, but that just means they can release another live album like this include an entirely new group of their excellent pop gems.